This week’s episode of Brown Bag Wine Tasting with William Shatner is a true meeting of Star Trek minds. 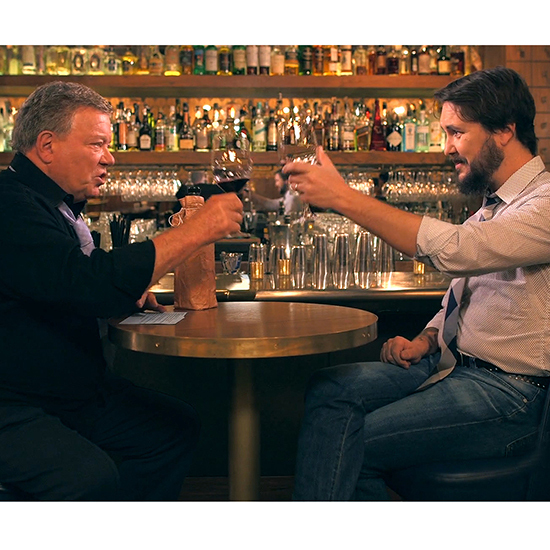 In it, the former commander of the Enterprise (Shatner) talks wine, video games and, of course, Star Trek with Wil Wheaton, whom true Star Trek geeks will remember as Starfleet prodigy Wesley Crusher in Star Trek: The Next Generation. Watch the clip below to get a taste of the delicious wine-fueled nerdery that erupts, and watch the full episode here.